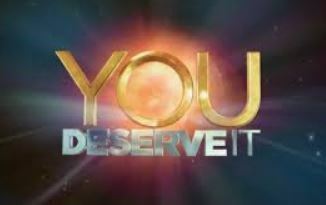 Knowing that you deserve it is the key receiving "it"! So how do you get to that place of knowing? It's not in what you do. Your subconsious mind may never be satisfied with what you do. When you create the knowing in your heart, everything changes... and for the better! A lot of us would like to believe that we deserve it. "It" being those things we want in life. In fact, we may think we believe we deserve good things. And we may even argue with others, trying to convince them of how much we deserve it! Guess what, that’s actually your indicator that “undeservingness" is a subconscious block to receiving. If someone is withholding or treating you poorly, it is your own energy that is manifesting that experience. Your subconscious belief is you don’t deserve and you are attracting situations that verify that. Your fight is not only with those mistreating you, but with your subconscious mind. I recently discovered this in myself, and was guided to write about it after my own major shift upon clearing it. My conscious mind believed I deserved all good things, but when I started really noticing my actions, they portrayed something different. The first thing I noticed was my reluctance to receive gifts or help from others. Sure, I’m okay with the universe giving me things but other people? What we want and feel we deserve doesn’t fall out of the sky, folks. It’s probably going to come from others in one form or the other. If you don’t feel good receiving from certain individuals, that’s another indicator of a subconscious underserving block. Another thing I noticed was an over-giving nature… an inclination to give more than I had. Sure, giving can be a sign that you’re confident the universe will provide you with what you need, but if you’re giving in an attempt to get what you need, to or to be accepted, that won’t work. You must love yourself enough to take care of yourself first and know that you deserve to! If you talk about what you give, again, you’re trying to prove that you are worthy and that is another indicator that deep down inside, you are trying to convince yourself of this fact. I can tell you that you deserve it, but telling you that won’t change things a bit. You will have to resolve this undervingness and transform it once and for all. The Secret Formula can help you resolve feelings of being undeserving or unworthy, opening up the floodgates to the abundance you truly deserve and are entitled to!